A cruise from Buenos Aires to Valparaiso, with a penguin-viewing stop in the Falkland Islands, forges unforgettable memories. FALKLAND ISLANDS — A cold wind swept across the desolate beach at Volunteer Point, one of the Falkland Islands’ most popular tourist destinations, but the throngs of king, Gentoo and Magellanic penguins didn’t seem to mind. 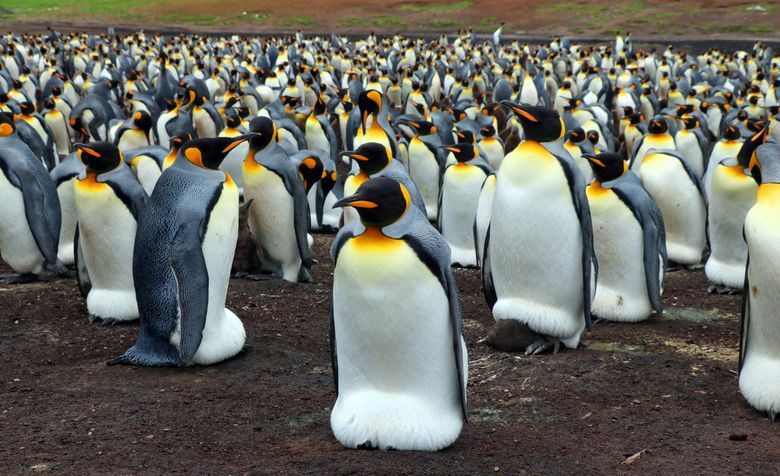 This sight made the two hours of bumpy four-wheeling over roadless peat beds worthwhile, and neither the overcast skies nor the midsummer chill could dampen the excitement I felt as I gazed at the largest colony of king penguins outside of Antarctica. More than a thousand of the stately birds huddled in a protective circle, many straddling a single egg or feeding a downy gray chick. Occasionally a few adults waddled unsteadily away from the group, past a separate cluster of Gentoo penguins, looking for their next meal in the frigid, steel-gray South Atlantic waters. As I photographed this mélange of assorted penguins, I felt that this extraordinary penguin encounter alone made our cruise worthwhile. To put this adventure in proper context, after our recent retirement my wife and I rented out our home and traveled in South America for four months. By including a nice cruise in the middle of our travels we were able to put aside the demands of overland travel and savor our cruise ship’s unique ability to provide a high level of comfort while taking us to varied and often remote destinations. 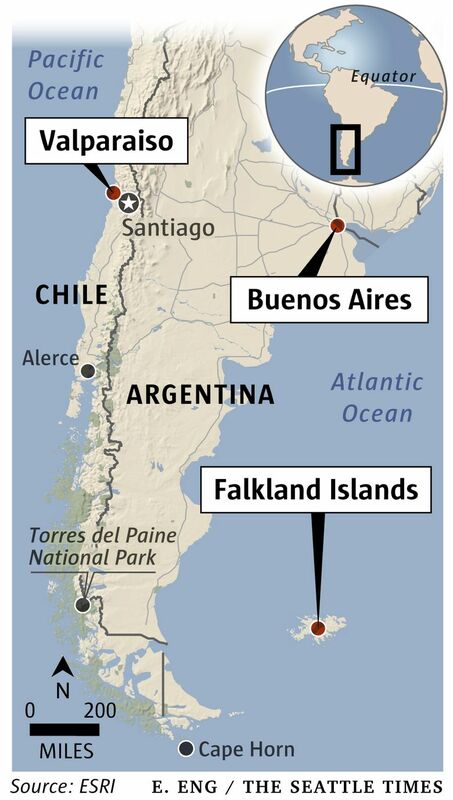 On the 2018 schedule, a 14-day cruise around Cape Horn from Buenos Aires, Argentina, to Santiago (at the port of San Antonio), Chile (or reverse), including a Falkland Islands stop, starts at $1,799 per person. 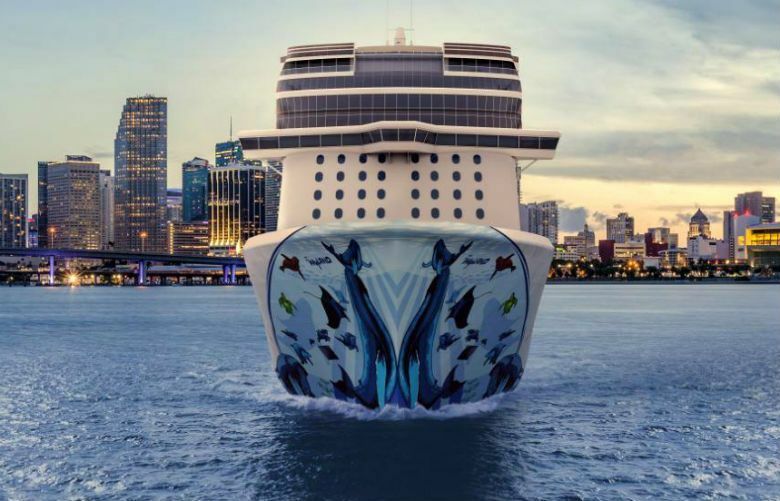 Norwegian Cruise Line, 866-234-7350; ncl.com or bit.ly/capehorncruise. One of the top operators is Estancia Tours (the family also owns 13,000-acre Estancia sheep farm). See estancia-excursions.com. 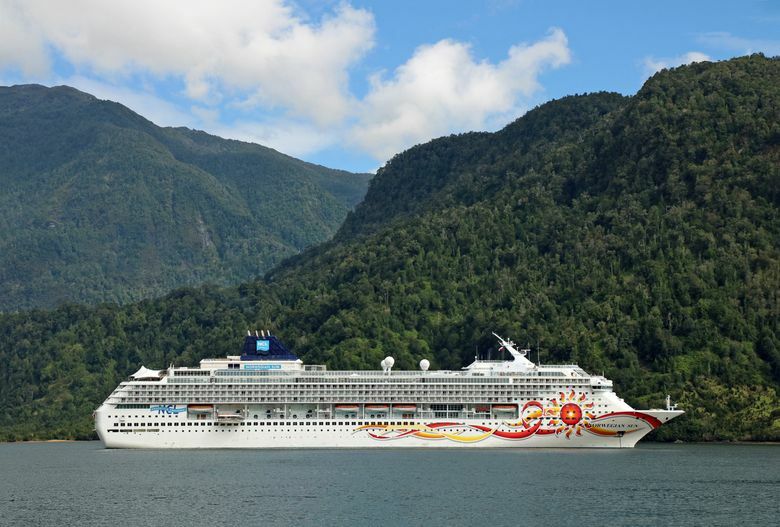 Which explains how we found ourselves on Norwegian Cruise Line’s ship, the Norwegian Sun, circumnavigating the tip of South America — Cape Horn. This once-in-a-lifetime cruise, beginning in Buenos Aires and ending in Valparaiso, Chile, provided an amazing assortment of adventures with penguins, glaciers and fjords. Can cruise lines protect excursion patrons? • Buenos Aires proved to be a remarkably European-looking city, full of parks, a renowned 200-year-old-cemetery (the site of Eva “Evita” Peron’s tomb), the widest boulevard in the world and a shoreline bordering the Río de la Plata, considered by many to be the widest river in the world. • Approaching Cape Horn, the southernmost piece of land on Earth above Antarctica, we earned our nautical bragging rights as our ship battled formidable waves and wind before we were able to gaze at the rocky point that had witnessed centuries of sailing triumphs and tragedies. 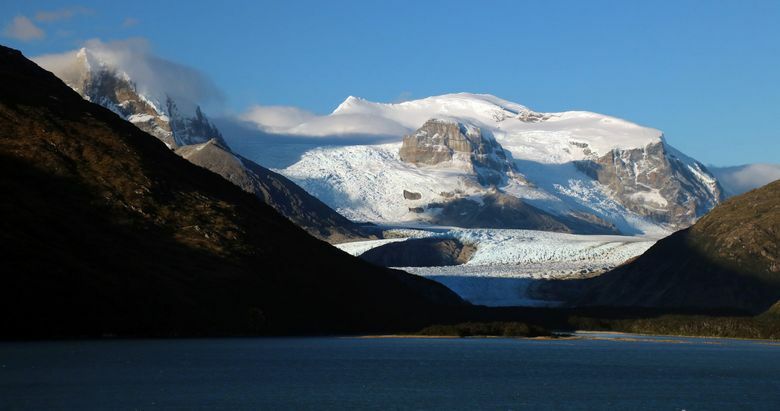 • At Punta Arenas, Chile, we joined our ship’s exclusive DMC Chile excursion to one of South America’s most picturesque mountain ranges, Torres del Paine National Park. 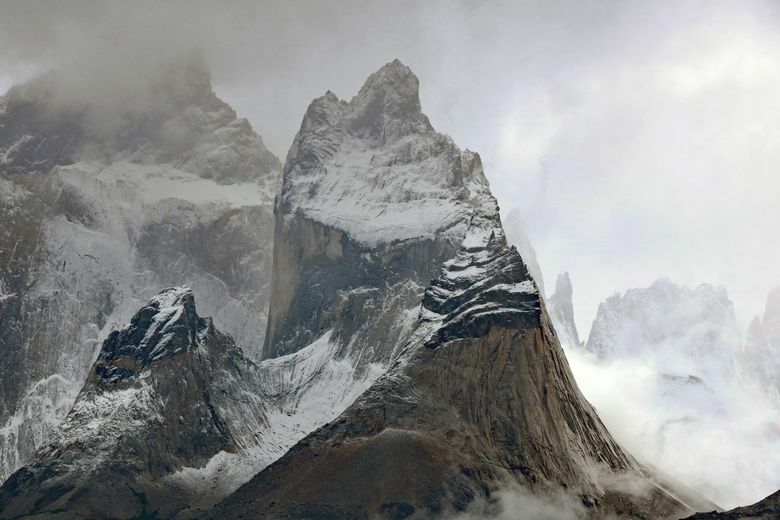 This trip required two bus rides and a private plane flight over surprisingly barren expanses of Patagonia before we reached the craggy mountains. From what we could see of the peaks through the clouds, the formations were indeed spectacular. 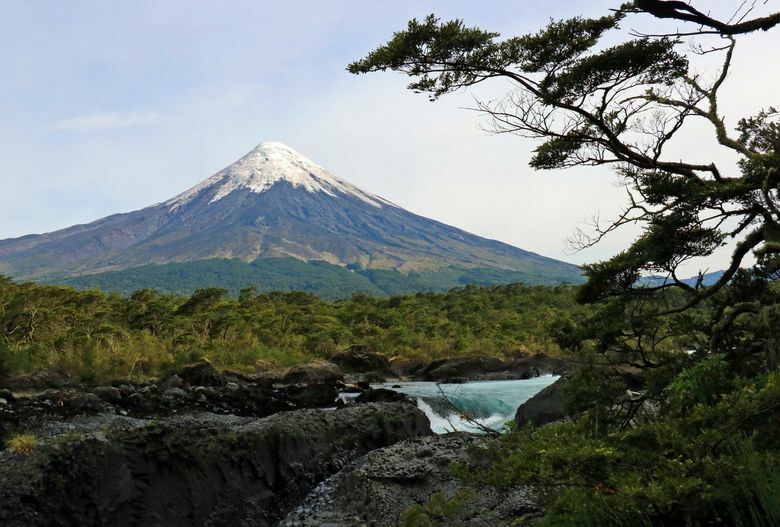 • From Puerto Montt, Chile, a rather nondescript town, our ship’s tour took us to Petrohue Falls, whose cascading waters framed the perfectly cone-shaped Osorno Volcano, which we later visited. From our vantage point halfway up the cylindrical cone, we admired the expansive view of Lake Esmeralda and the hilly countryside surrounding it. When we entered the Chilean fjords, every passenger watched spellbound as we glided past spectacular glaciers draped across craggy, snowcapped mountains. The massive ice sheets, lined with deep fissures, glowed with aquamarine hues in the afternoon sun. Some of the ice walls spewed milky waterfalls as the behemoths slowly melted and crept inexorably toward the ocean. As the Norwegian Sun pulled into Valparaiso’s bustling harbor, we reflected on our once-in-a-lifetime cruise around some of the most remarkable sights in the world. We felt grateful to have been able to sail around the infamous tip of South America and to have waddled alongside king penguins in the remote Falkland Islands. This chapter in the book of our travels will remain among our most treasured memories.